Family stories of the ties between mothers and daughters form the foundation of Mothers and Daughters: Complicated Connections Across Cultures. Nationally and internationally known feminist scholars frame, analyze, and explore mother-daughter bonds in this collection of essays. Cultures from around the world are mined for insights which reveal historical, generational, ethnic, political, religious, and social class differences. 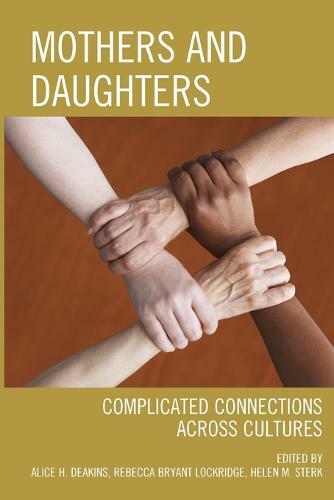 This book focuses on the tenacity of the connection between mothers and daughters, impediments to a strong connection, and practices of good communication. Mothers and Daughters will interest those studying communication, women's studies, psychology, sociology, anthropology, counseling, and cultural studies. Mothers and Daughters: Complicated Connections Across Cultures has variety, solid research, and energetic and creative ideas. It presents a significant introduction to a relationship that always has been important to women. Since written accounts allow us to see ourselves through seeing others, this book matters. -- Mary VanderGoot, Ph.D., licensed psychologist, marriage and family therapist, and author of After Freedom: What Really Matters?